Stay in Lake Como's best hotels! Featuring lake views and an outdoor pool, Hotel Domaso is located a 2-minute walk from the shores of Lake Como. Guests can enjoy a garden, free WiFi, and spacious air-conditioned rooms. It was the best experience in Europe ever. Everything thing was perfect from the arrival till the departure. The hotel is amazing, modern, new, very clean and very convenient. The view in front of the hotel is unbelievable and very attractive to the Lake Como. You really feel comfortable and live in peace and you won’t leave it easily, because you feel that you want to relax and stay more with them. Their breakfast is very nice and tasty and contains a lot of varieties. This is not everything, one of the best things that I didn’t find in anyplace and I like it the most in this hotel, is the staff of the hotel. They are really very helpful and friendly and try to make everything for you and try to help and guide you even outside the hotel. I am going to mention the two important persons who have the great effect and the main contribution in making our stay at this hotel the best and unforgettable. From our arrival to the hotel, Lara was with us like our shadow and didn’t leave us until she ensured that she made everything possible to make our stay the most comfortable. she were always there when we need anything or need any assistance even for external matters. Also, Luisa was in contact with us from the beginning even before we traveled to Italy and she was very helpful and generous. She did everything possible for us and gave us the best room with the most attractive view to the lake. It was an experience that I want to repeat it again for several times and I strongly advice anyone having plan to visit Lake Como to stay in this wonderful hotel. I can gave them 10 out of 10 confidently. Overlooking Lake Como, Hotel du Lac Varenna offers accommodations with free WiFi in Varenna. Guests can enjoy meals at the on-site restaurant and a drink at the bar. Amazing, unbeatable lake views from the room, balcony, restaurant, and bar. Really captures the paradisaical character of Lake Como. Excellent breakfast and staff also. Lovely wine tasting and cheese & meat platter served on the lakefront terrace with panoramic views. Very hard to beat that kind of experience. Featuring a restaurant and a wellness area, Hotel Florence offers accommodations in the heart of Bellagio and only steps away from Lake Como shores. Location, for starters, and then the beautiful decor! Service was super too! Featuring free WiFi throughout the property, Hotel Fioroni offers accommodations in Carate Urio. Guests can enjoy the on-site restaurant. The rooms come with a flat-screen TV and a lake view. Delightful family run hotel in a wonderful lakeside location. Excellent dinner. Owner Guiseppe played the grand piano after serving our meal. Very good value. Offering an outdoor pool with hydromassage and a sun terrace, Hotel Vischi is in Domaso, a short walk from Lake Como shores. Very nice staff. Good and free vibe. Very good location. Bst breakfast. Hotel Resort Le Vele in Domaso has a seasonal outdoor swimming pool and a fitness center. With free WiFi, this 3-star hotel offers a shared lounge and a garden. My son left our car keys in the car while getting his swimsuit. Then he closed the locked car door. The hotel manager was able to find us a car mechanic/locksmith to open the car door in less than 30 minutes and save the day!!! He was incredibly helpful. Also a great pool!!! Featuring a panoramic location in Lezzeno and an infinity pool with views of Lake Como, Filario Hotel & Residences offers a restaurant and luxuriously furnished rooms and apartments. Location, room, breakfast, fabulous fabulous views! 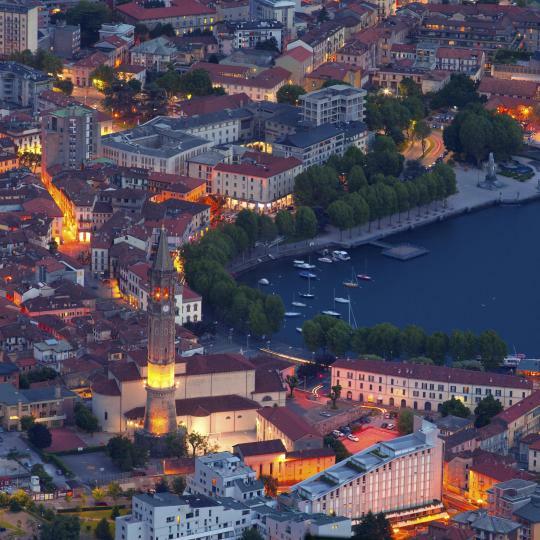 Overlooking Lake Como, 328 feet away, NH Lecco Pontevecchio is a 5-minute walk from Lecco’s historic center and a 10-minute walk from the train station. Outstanding stuff especially lady at the front desk. I’m sorry forgot her name. Hotel Engadina is just 10 minutes' walk from the historic center and features free WiFi. Como Train Station, located 1312 feet, offers connections with Milan. Great location, close to ferry, train station & old town. Nice staff, good breakfast. Featuring a harbor-side location with views of Lake Como and the Alps, Metropole is in the heart of Como. When included, a continental buffet breakfast is served. Charming hotel. Very friendly staff. Perfect location!! Highly recommend. Just 9.3 mi from Como, Inverigo Hotel features stylish rooms with free Wi-Fi and a flat-screen TV. Property is lovely , staff very nice , good breakfast, location good, would definitely go again. Albergo Firenze overlooks Piazza Volta in the historic center of Como. It offers rooms with attached bathroom with free Wi-Fi. Great location - close to everything! Rooms at Hotel Griso have large windows and views of Lake Como. A 15-minute walk from Lecco city center, the property features a panoramic lounge bar, a rooftop sun terrace with hot tub and free... Incredible place! Breaking view! Extremely comfortable bed! Modern restaurant. 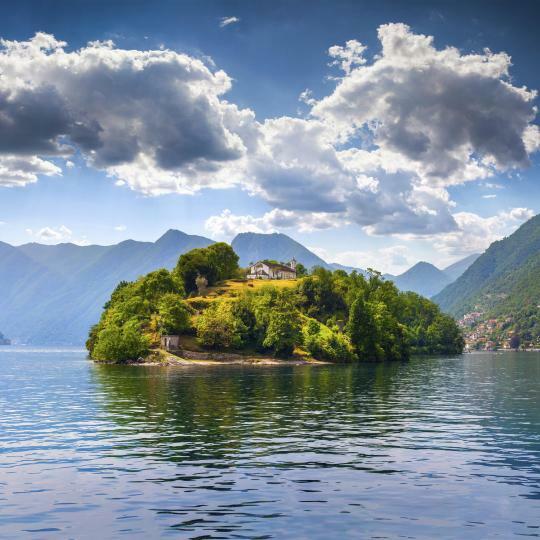 Offering free bicycle and canoe rental, Hotel Berlinghera overlooks Lake Mezzola.The property is located in Dascio and features a restaurant and rooms with free Wi-Fi. In good location near by lake hotel. Very quiet. Boasting a lakefront location and free Wi-Fi throughout, Hotel Lungolago is a 10-minute walk from Lecco Train Station. Location was excellent. Secure parking. Decent breakfast.Really nice staff. Good local restaurants. 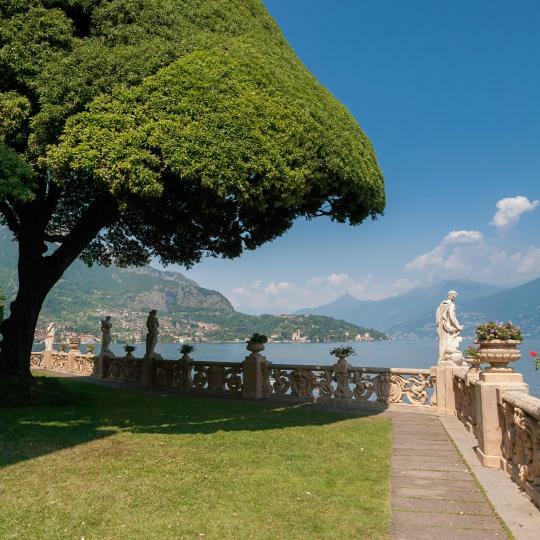 With an ideal location on the shores of Lake Como, Villa Belvedere Como Lake Relais features a garden, traditional restaurant with terrace, and free private parking. The location is great, as well as the wonderful scenery! Surrounded by a park with century-old trees, Casa Sull'Albero is a modern property featuring a heated swimming pool, a wellness area and a cinema room. It's an amazing hotel surrounded by nature. Only 328 feet from Mandello del Lario Train Station and set in a mid 19th-century post house, Albergo Ristorante Grigna offers 10 functional air-conditioned rooms. Lovely large clean room with big private terrace, table & chairs & sun loungers. With a quiet yet central location in Colico on Lake Como, this 3-star design hotel opened in 2011 and is 5 minutes’ walk from Colico Train Station. Fabulous lake view from large balcony, great on site restaurant. Hop on a ferry and visit Bellagio, Varenna and Como, some of the villages scattered along Lake Como’s pebbly shores. This secluded island is northern Italy’s only olive-oil producing area. 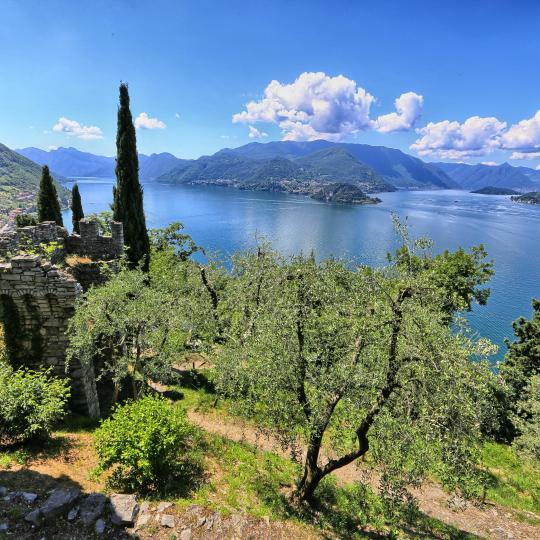 Explore its archaeology, nature and the Romanesque San Giocomo Church. This 18th-century former monastery cuts a splendid shape on Lenno’s shores. Visit the gardens, or admire views over Lake Como. 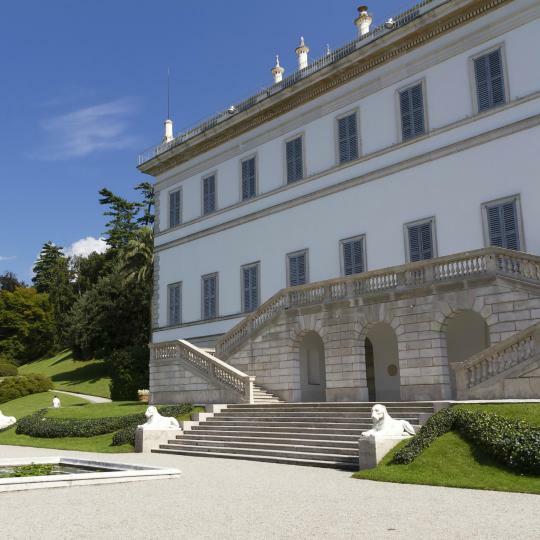 Writer Stendahl was dazzled by Villa Melzi’s botanic gardens, which feature rare flowers and ancient trees, complementing its 19th-centuryfrontage. Lecco has proved inspiration to writers, poets and artists and features as a backdrop to Manzoni’s novel "I Promesi Sposi”. Within Roman-built Como town sits a cathedral, Volta Temple Museum and the striking Villa Olmo, housing exhibitions and cultural events. Scale Mount Resegone by cable car to reach Piana d’Erma’s viewing point. Enjoy an amazing panorama at its 1300-metre altitude. Looking onto Lake Como from its 400-metre-high altitude, this religious site is surrounded by scenic woodland and olive groves. Fish, rice and cheese feature greatly in Como’s local cuisine. 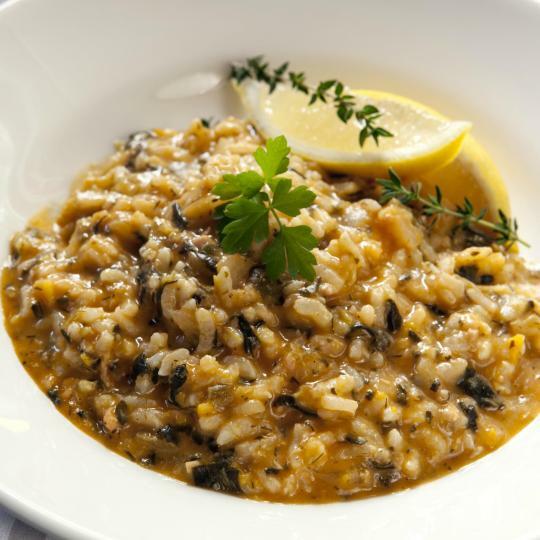 Try risotto with perch fillets or traditional Misultin fish. Fantastic view of Lake Como from our apartment balcony. Although our terrace was right next to the upstairs restraunt terrace, most patrons were gone by 10:00pm. We decided to do a three hour boat tour of Lake Como that launched at 12:45 and Louisa, the owner, was so nice and considerate that she let us keep our suitcases in our apartment until we returned. The furnishings are quite dated, but if you're looking for swanky and modern this hotel might not be for you, but the the restraunt is quite hip. Absolutely, loved the staff. I'm not a great fan of Como itself, but the hotel is located in the nicest crescent of the city, just across from the lake, and a block or so from the train station. Room was impeccably clean, comfortable, staff was accommodating. On Lake Como, I usually lodge in Cernobbio but I'd stay here again in a pinch if I needed a room in Como proper. Breakfast was very well done: good sized room, great selection, nicely appointed, tranquil experience, among the best I've experienced. Beautiful apartment in Como, which accommodated our group of four. Lovely building with nice architectural touches. The caretaker was excellent and promptly showed us our unit and everything we needed. Lovely patio/garden area! Nicely furnished with everything you need! NIce air conditioning. Located within walking distance of the train station and all of Lake Como, however it was easy to take a taxi from downtown by the lake. Would stay here a again and good for longer stays. For a budget night at Lake Como the Hotel Beretta was fine. The room had a balcony overlooking the street and the lake beyond, and was just a short walk to the ferry and the restaurants and shops in town. Parking was below our window on a small portion of the sidewalk reserved for the hotel. Glad I rented a small car for that matter! Breakfast was basic. Funny how Italian food is amazing all around, but breakfast in Italy leaves a lot to be desired! Mariella was there to greet us with a big smile, the keys to the apartment and she personally walked us through and ensured that it met our needs and told us that if there was anything we needed, we could reach her any time via phone or text. So friendly and helpful! It felt like we were living a bit like locals and the location was fantastic! We will definitely come back to the Volta apartment in Lake Como! Thanks Mariella! 'Ostello Bello Lake Como' is the new open hostel so this hostel is excellent in every way and the staff ! also do their best ! i have traveled almost total 4month and this hostel is one of the best one ( they offered me the towel, soap, sampoo and the bath room where is inside is good quailty breakfast also very nice ! and they managed the hostel 24 hour with good public space..
We had a wonderful stay at Grand Hotel Imperiale. Lake Como is breathtakingly beautiful and the hotel lives up to this magnificent backdrop. The staff were friendly and welcoming and went out of their way to make our trip special. Our room was luxurious and massive and exceeded expectations - great value for money. Thank you to the team for making this one of the best legs of our Italy trip. The Belvedere is an amazing hotel in the heart of Bellagio on Lake Como. The staff is fantastic and incredibly helpful. The facilities are also impressive (swimming pool, hot tub, gym, restaurant that overlooks Lake Como). I would return to Italy to visit the Belvedere again. Tip: Try to get a room with an outside balcony that overlooks Lake Como --- the balcony is very spacious. Great location as when we got off the train the hotel was right there...and within a few minutes we walk right to the lake! Friendly staff! The breakfast was simple but worth it as it was convenient! Rooms are small and simple but that is all we need as we were out the whole day. If I ever go back to Lake Como (which I hope to again) I will definitely stay here again. Beautiful apartment with lovely views of Lake Como on one side and a park on the other. The lake views are scenic by both day and night (we saw fireworks in other towns from the balconies!). Very clean and spacious apartment with lovely modern decor. The apartment is quiet, as others have said, even though it's near the ferry landing. Very helpful rental agent. Villa Liberty was the best boutique hotel experience I’ve ever had. The grounds were gorgeous, rooms spacious and modern, amenities pristine and service unbeatable. My garden view room had a private sitting area overlooking the garden, and the rooftop terrace was excellent for a bottle of wine at sunset. I would come back to Lake Como and stay here every single time. The hotel was a short walk from the train station. Delicious breakfast with daily pastries from a local bakery. The staff made dinner reservation for us at a restaurant a few doors down and the food was very good. A new Bistro opened three doors away and their food and the ambience was superb! Very quiet hotel. Lake Como was a short 10 minutes away. 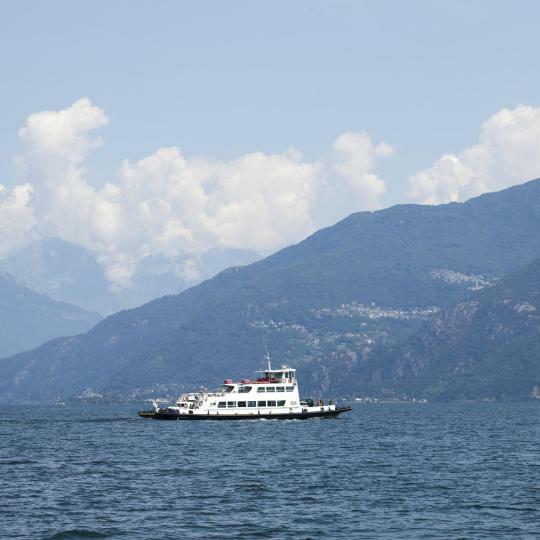 Perfect location by ferry terminal with wonderful views of Lake Como. Staff was most welcoming. This was our third stay over the past few years - a very traditional European hotel. Worth the bit more for the lake view rooms. Buffet breakfast was one of best on this visit to northern Italy. The breakfast was fabulous everyday. The staff all over the hotel was gracious and friendly. The infinity pool was great with the best view overlooking lake como. The location was fine with a 25 minute walk into town. I would stay here again. My room was spacious and beautiful. Dario was a perfect host. She greeted us and explained everything you would need to know about the apartment and the area. My suggestion would be to stay there at least 4 days to take advantage of the apartment and the beautiful area around Lake Como. *The staff were friendly. *My room was clean and spacious. 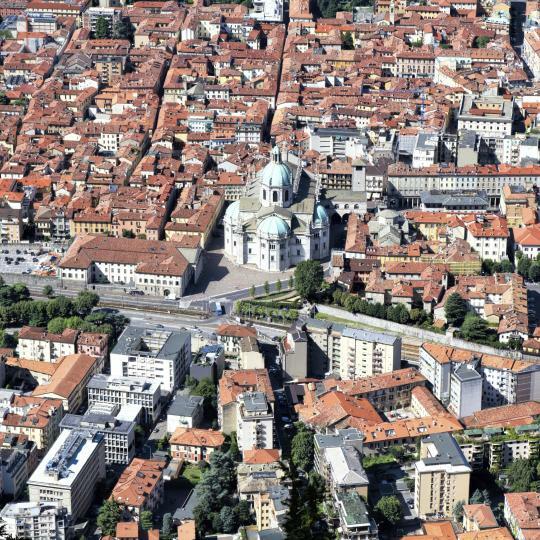 *Even though the view doesn't include the Lake Como, a nice view of the town could be seen. *The hotel is so close to the S.Giovanni train station. Lovely hotel with beautiful views and a friendly staff. A great place to stay for first time visitors to Lake Como. The ferry station is only a few minutes walk from the hotel. 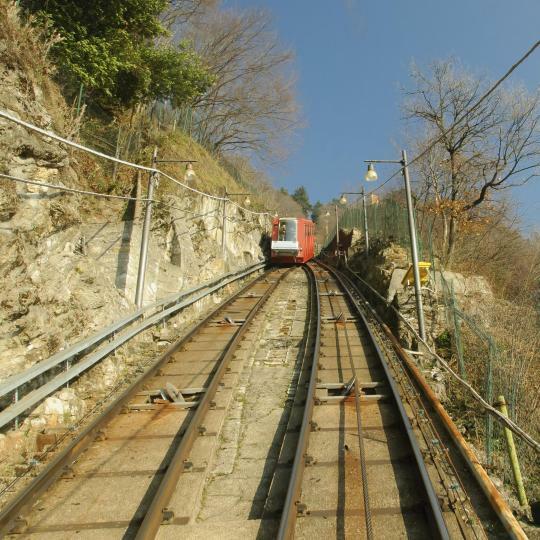 Location ++ Close to good restaurants, supermarket, Lake Como ferry’s and Como Brunate Funicular. Great host, and good value for money. Will return to this apartment again!